135 total reviews. Showing 15015 of 15 on this page. Please note: this review is for the 2015 season rather than the current season. by AmandaThillen after attending on Friday, October 30, 2015 at about 7 p.m.
My fiance and I went to the halls of terror and had a terrific time! It was cold out and they even had barrels with fire in it to keep us warm. They had quite a few people dressed up all scary come in and out of the house to scare the people waiting in line. They constantly kept us interested. I will be going again next year for sure! Good job on the haunted house! by wilbur74 after attending on Friday, October 30, 2015 at about 8:30 p.m. This haunt was a pleasant surprise. Having attended this haunt back in 2013 on a cold night, my group wasn't too excited to revisit the Haunted Barn. With a new look and feel, not to mention the concession area, we were all impressed with updates and scare factors. There were items from the previous setup that were missed, (e.g. the rigged port-john). The haunt had some flow issues at the end of the line (near the fortune teller) where we were routed down dead-ends and at one point half our our group was outside the haunt flow and behind the scene. For the price and location to Madison this is a perfect haunt. Looking forward to see what new and existing additions the team from the Haunted Barn will cook up for next year. Welcome Back from the Dead!!! by wilbur74 after attending on Friday, October 30, 2015 at about 7 p.m. This haunted was disappointing. Marketed as a professional haunt and charging a professional price, this site fell short on so many levels. First, the venue is prefect. This site had some really cool set-ups, (the fair and basement areas) but even with those sets, there was missed opportunities to really take it to the next level. I'm not sure if it was the lack of actors or what, but walking thru these areas was like.... well, meh! There could have been a creepy organ grinder playing in the background, some of the games could have been clever with some morbid twist. The upstairs areas has a few good things, but not rememberable. I'm not sure what's scary about an old mattress on the floor. Our group did go Halloween weekend and the crew may have been burnt out at this point of the season. We had issues buying tickets online and when we arrived, we were put in the regular line and not the fast-pass line. Plenty of room for improvement. I'm glad that there is a haunt close to Madison but our group won't be attending next year. Mostly because we have other haunts to check-out. But we do plan on checking Scaryland out in '17 and hope that this new haunt grows and takes advantage of a perfect location. Charging Dungeon of Doom prices... the Scaryland team should really check that haunt out and pull some ideas from them. by SarahVoska after attending on Sunday, November 1, 2015 at about 7:30 p.m. Attended on the last night they were open, so they were a bit short on actors. This was the first year the haunt was running, and the owners put a ton of hard work into it. There were also quite a few impressive effects- props that jumped out, moving floors, etc. Finding the way through the house definitely requires some work, and my group struggled to find the way out of one room for a good 5-10 minutes. The waiting area was very nice. They had some haunted carnival games that were appropriate considering the venue at a fairgrounds. But best of all, there was seating and it was covered so you didn't have to wait outside in the elements to go through. My biggest complaint would be that the lighting was poorly executed. There were rooms where we couldn't see the props, or make out the actor's makeup because it was either too dark, or too foggy....then the next room was devoid of actors and the lighting was too bright. Overall, it was a good haunt, a great one considering it was their first year. This haunt has a ton of potential, and with a little more help putting it together and getting the lighting just right, I have full faith that they will come back next year even scarier! by ducktapeking88 after attending on Saturday, October 31, 2015 at about 7 p.m.
You always get a good scare for your dollar here. This is both an outdoor and indoor event for under $20. The actors and actresses are extremely enthusiastic and some of the rooms there is a skit instead of just getting rushed through the house. It is light enough to see the monsters, effects and décor, but dark enough to keep things scary. New parts are added every year and the house always benefits from them. I have been there several times in the past, but this year on Halloween the waiting line was almost instant entry. This may not be the case every year, but it was nice that my group had more time to do other Halloween events and not spend half the night in line. I would recommend this house to avid haunted house goers like myself and first timers looking for a fun night. Had a great experience all around. by ZombieFighter after attending on Saturday, October 31, 2015 at about 7 p.m. This was my second year attending Camp 5 Terror, and I'm sure glad I returned! Although not located in a highly populated area, this haunt provides a high quality attraction, which is well worth the drive. The scenes are highly detailed and incredibly artistic taking advantage of a wide variety of materials that appeal to all senses. Kudos to the entire team who bring this haunted experience to the Crivitz area! I will happily return in 2016 and encourage others to also check it out! Great fun! Great screams! Great visit! Can't wait to see what they create next October! 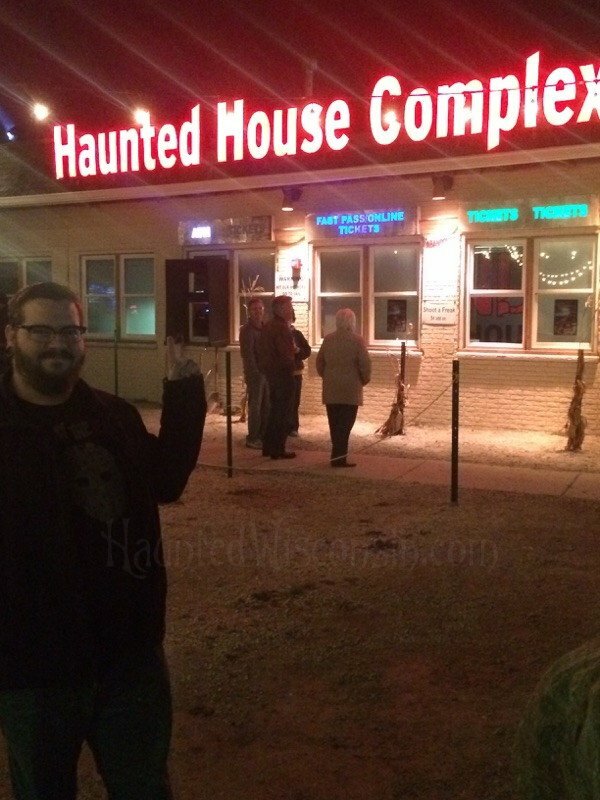 by TrickorRick after attending on Saturday, October 31, 2015 at about 7 p.m.
Great haunt! The best one I've visited this year! And I've visited four including two in the Milwaukee area. The trail that starts it off was more terrorizing than haunts that specialize in trails. The house was high quality with great visuals and great actors. Nicely propped and with some special effects I haven't seen in any other houses. At one time I thought my head was messed up because of the effect being used. Loved it. High quality. Great actors. Nicely operated. HIGHLY recommended! by Skully after attending on Saturday, October 31, 2015 at about 7 p.m.
My group made a visit to Terror on Rural Street Halloween night. 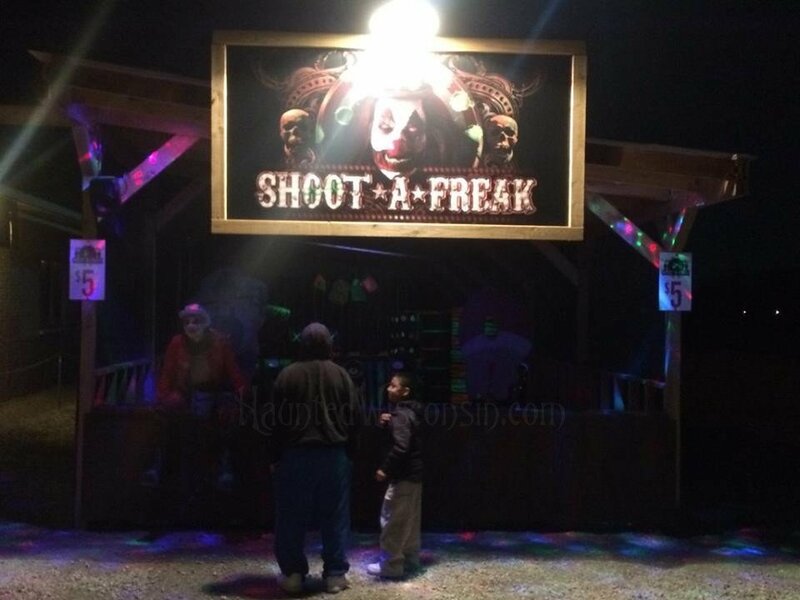 Right away you notice everything is very organized from the ticket booth(heated waiting area) a new façade, awesome lighting & this is before you go in the haunt . Inside you notice high energy actors with detailed makeup & great costumes. We were bombarded by scares from many directions and surprised by several illusions & special effects, with many new rooms from our last visit. With all of the detail in many rooms you can tell that a lot if time has been invested in this haunt. A very creative haunt! My highest complements to the creators & staff! On our ride home my group decided right away Rural Street was by far are favorite haunt of the season, which is saying something because we go to haunts every weekend thought October. I would highly recommend Terror on Rural Street to anyone looking for a high quality haunt and a spooktacular time! 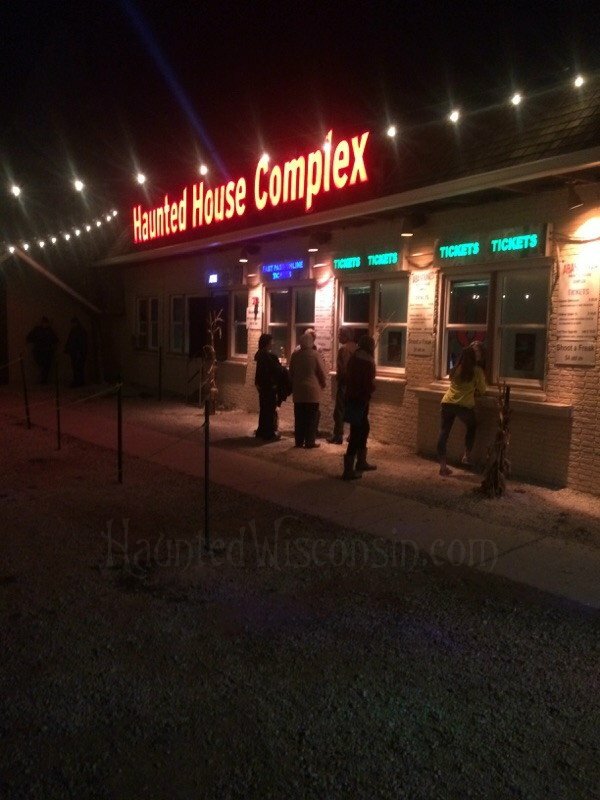 by RonEbben after attending on Friday, October 30, 2015 at about 8:30 p.m.
Last night I had the pleasure of going through The Haunted Barn along with my son and daughter. All three of us being former workers of the haunt from years past, we had an idea of what to expect, but they definitely took it to the next level.!!! Everything from the design, originality, top notch actors, parking lot atttendents,concessions and of course as always their hospitality was above and beyond our expectations. Highly recommend anyone who is looking for a haunt to attend should check this out. They will not disappoint !!!! by Robinson90 after attending on Thursday, October 29, 2015 at about 8 p.m. 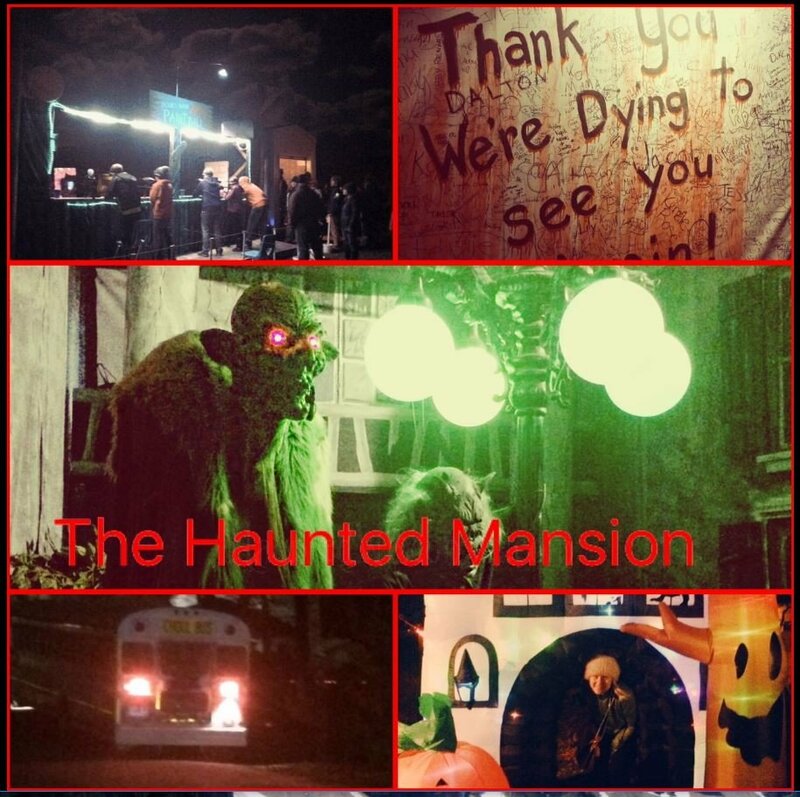 I always attend this haunted house because it has proven to be the best in this area many years past, and this year they really knocked it out of the park, was so impressed. Their actors are truly dedicated to being terrifying, I loved every minute of all three houses this year! Best money I've spent all Halloween season! by SarraJohnston after attending on Saturday, October 31, 2015 at about 7 p.m.
Best $5 EVER!!!! I'll have to admit, I didn't have big expectations, at first.. this haunted house was AWESOME!!!! I hope everyone comes to check it out!! If you can't make it this year, plan on seeing them next Halloween!!! by EileenEntringerPamperin after attending on Saturday, October 17, 2015 at about 7 p.m. The line went quickly, and even scarey creatures greeted you as you were waiting in line to enter the corn maze, you could hear the sounds of people screeming inside the corn maze, and the sounds of a chain saw, I held on tight to my partners arm as this was the first time in a long time to a haunted house. as you left the corn maze you passed through the spooky cememtary, and if you dare, you could try your last ride inside of a casket! there were creatures everywhere but no one touched you, thank god for that, just a good old fashion scare. you continued through the haunted woods with a light fog in the midst till you arrived at the end of the trail, where you boarded a bus to take you to the mansion. The bus was dark, then creatures started to walk among the passengers, then the ceiling lite up, so cool, as you left the bus you were given a number for your place in line. a scary witch greeted you, asking if you would like to take a final ride in a coffin, Totally cool! Loved the witch, One two three and we were at the Door, greeted by another scary creature talking fast, but sent shivers down our spine, One chance to chicken out! we went in through the fireplace door and from there on we were in amazement the best way to describe is try it for your self! we Loved it, and at the end signed our name to the wall of survivors! for all your hard work and dedication to making this number 1 Place I would take my family too! by toybogger after attending on Saturday, October 24, 2015 at about 8:30 p.m. This place is awesome. I sat down by the bon fire and talk to other people that came out. I didn't hear a single bad thing about it. I even saw people that bailed out before they got all the way through. They couldn't make it. lol. Well worth the short drive from Fond du lac. GO SEE IT!!!!!!!! by majorXpsycho (Newbie Review Crew Member) after attending on Sunday, October 25, 2015 at about 7:30 p.m.
Shopping, apple picking and beautiful lake views draw thousands to Door County every fall. However, travel where no tourist dare to adventure and you will find the exciting horrors of The Haunted Mansion! Back for its 10th year of screams, the Haunted Mansion is the only haunted attraction that I made a point to attend again this year. We arrived early and the lengthy lines of victims confirmed my theory that The Haunted Mansion has quickly become a favorite for all! Aside from the location, the Haunted Mansion has changed entirely from last year with a bigger, better and more frightening main haunted house. The Haunted Mansion is 4 separate haunted attractions for only $10, but do not let the cost fool you. I have been to haunted attractions that are more than double the cost and The Haunted Mansion is as great, if not better! After waiting 30 minutes to purchase our tickets, we decided to go RIP and skip to the front of the lines. The Haunted Mansion begins with a dimly lit walk (or run if you can) through a corn maze filled with ghouls, traps and sinking sand. The dead really come alive in the corn maze and just when you think the end is in sight, you will find yourself trapped and grasping for your life. We managed to escape only to be loaded on to a haunted bus ride! At first we thought we were safe inside the bus, but it isn't until the door locks that we realized we were far from safe. In fact, we were trapped on a moving horror ride! There is no relaxing on the bus and I have never been more excited to be back on my feet, as I was leaving the haunted bus. When you exit the bus, you are given a number and notified that you now may enjoy one of the many attractions while waiting for your number. We decided to take our turns at the Zombie paintball and I am quite confident that if the Zombie Apocalypse happens, I will be the first to go! There are also plenty of treats to enjoy while waiting. The Haunted Mansion itself is completely different from last year and thrillingly more frightening. The ghouls are larger and the scenes are more gruesomely detailed. I love that they kept the unique aspects that make the haunt great and added more props and ghouls. I could hear the blood curdling screams of victims that had gone before us and this only added to the fear and excitement. The spirits inside the haunt made certain no one was left alone, and if you are one of those individuals that likes to try to hide behind a friend, expect to be targeted! After 28 minutes of horror, we managed to squeeze our way out of the mansion. If you make it out, you can proudly add your name to the large "survivor" list. We made it out, but I am not certain if my trembling hands means I am allowed the honor of the title "survivor"! Overall, The Haunted Mansion feeds on what scares you most and has an excellent balance of disgusting, horrifying and thrilling. In its 10th year of fear, The Haunted Mansion is bigger and has more fear this year! The cost far underestimates the terror you can expect to face in the 4 haunted attractions. You begin with a walk through a dimly lit haunted corn maze filled with walking dead. The haunted bus ride keeps the screams going until you arrive at the main attraction. Try your chance with the Zombie Paintball, Burial Simulator and enjoy a large selection of treats before entering the Haunted Mansion. The Spirits or ghouls inside will not want you to escape and if you do, don't forget to sign the survivor wall! If you want to make a night of fear, make sure to travel to The Haunted Mansion! by dubstyle_2k (Newbie Review Crew Member) after attending on Monday, October 26, 2015 at about 8 p.m. Inner monologue: How to write a review that doesn't sound like I'm a fanboy? How to write a review that doesn't sound exactly like last year’s review, all positives? How to write a review that emphasizes the fact that this is truly the best haunt in the area, and I'm not just saying that to just say that? That's the dilemma I seem to run into when reviewing Abandoned Haunted House Complex every year. Now in its fourth season, I'm tasked with trying to write an objective review for the fourth time, but again, I absolutely loved it! Well, believe it or not, they outdid themselves, and the 2015 version of Abandoned is the best version of Abandoned yet! The first section of Abandoned is called Hysteria, and that's fitting for this haunt. This haunt had me jumping from the moment we walked through the door, but it wasn't the usual generic guy in a costume jumping out at me screaming "BOO!" It was bright lights, loud noises, AND great actors, along with the best sets in the game that made this haunt awesome. It was truly sensory overload in Hysteria! Hysteria was more than your typical haunt, it preyed on your senses, and shredded your nerves! What a fantastic way to start adventure! Now, we were on to haunt number two, Ambush! Ambush was more of the traditional haunt, but this year it was by far my favorite haunt I've walked through. This year I noticed they used more leveling, meaning you will walk up and down ramps a few times. I love that! The ramps aren't too steep, so don't be discouraged, but it's a nice touch, because this isn't used too often in haunts. There are some super cool areas with grated floors where you can see below you and it reminded me of the boiler room scenes in A Nightmare on Elm Street! Super awesome idea! I don't want to give too much away about this haunt, but they got something into this it that is HUGE, and is out of place, and is amazing, and is one of the coolest things I've seen in a haunt. You'll know it when you see it! In all, Ambush is the best haunt of the season. To sum it up, once again I loved Abandoned Haunted House Complex! It's the best haunt in the area, if not the state. Value wise, for $20, you can't go wrong! You seriously can't miss this place, there is a giant spot light illuminating the night sky! Neon letters on top of the building, well lit, right off of the interstate. It doesn't get much easier than this! The wait area was okay. It's an outdoor waiting area, so bring a heavy coat! They have videos on a big screen; when we were there they were playing silly viral videos. I would have liked to have seen horror clips and scary stuff, but that's me. At one point they played a pop groups video, didn't understand that at all, that didn't fit the theme one bit! The best in the area! Professional quality, nothing seemed cheap or amateurish. I can't imagine anyone can hold a candle to Abandoned! We were in and out in about 45 minutes. There were no problems, plenty of staff to control the crowd. The giant thing in Ambush that I will not mention, you must see it for yourself!!! At the risk of sounding like a fanboy I'm just going to say do yourself a favor, go to Abandoned. It is, in my opinion, the best haunt in the area. For the money, you aren't going to have a better time at a haunt. Two great haunts for $20, you can't go wrong!